M.S. 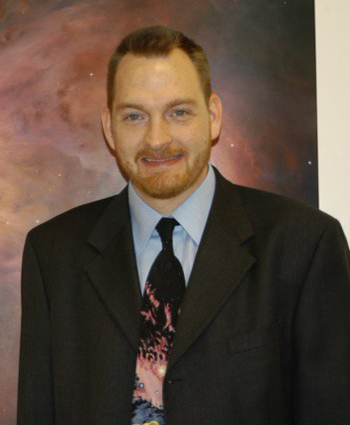 Earth and Space Sciences Shawn has over 25 years of experience in planetariums having directed facilities in Hawaii, Kentucky, and Maryland as well as managing the construction and installation of a number of facilities in the US and abroad. He is responsible for all operations and management of the Emera Astronomy Center. He has presented numerous planetarium shows, led educational workshops, and been an invited guest lecturer on astronomy and planetariums in Argentina, Brazil, China, Germany, Greece, Japan, New Zealand, and Russia. He has taught undergraduate astronomy courses at the University of Louisville, East Carolina University, and the University of Hawaii at Hilo using traditional and online methodologies. Shawn serves as President (2017-2018) of the International Planetarium Society, Inc. the world’s largest organization of planetarium professionals and is a NASA JPL Solar System Ambassador. He has a passion for cultural and historical astronomy, and sharing the wonders of the universe with people of all ages.